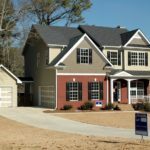 How To Make Use Of Property Staging Services To Sell Your House Faster? Staging a property is one of the smartest steps you may take to get things on the right track and get it sold the fastest for the best possible price. Property stagings the art of staging or making the property look like in a showcase, which holds in front of prospective buyers a view of the look they may anticipate in future inside, with their own furniture, belongings, decorative etc. There is usually a lot of difference between a vacant space or room, and a well-decorated interior designed same room. With proper lighting, colors designing, placement of furniture and decorative items, a room smiles and increases hundreds of times in appeal and show. And naturally, this creates an urge in the viewer to recreate this magic when they also buy and use this space. That is why staging is just like showcasing your space in a much beautiful and prospective way to tell your visitor how good and attractive it would actually look. In fact, staging reduces all need to imagine things. Whatever is possible can be seen directly on the floor and surroundings, thus making the eyes believe really what is what. They will inspect the space and property to come up with a plan for staging. They will give you a quotation for the charges and hiring fees for the furniture and decor items, paints etc. On being paid, they will bring in all the staging requirements in the house, and transform the whole look to make it one of the best places on earth to stay. What happens after you stage the house? With a staged home, you will get visitors flocking to your place soon, as they start seeing your house listed with the attractively staged interiors online, in pictures and ads. And you will forget waiting for customer visits. In fact, in a few days, you will be able to sell the house at good price just because you show your customers what to expect from the space the right way. With a good home staging service, you will not have to hire their staged furniture and items for a long time. That’s because a well-decorated house will sell fast, and would reduce your waiting time, thereby also minimizing the duration of hiring the items for staging. Hence, you would pay reasonably, and may also fall back in love with your house once again to never sell it. But jokes apart, staging really helps sell your house sooner and better.